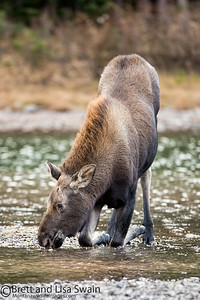 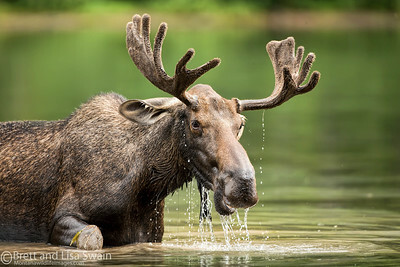 The moose (North America) or elk (Eurasia), Alces alces, is the largest extant species in the deer family. 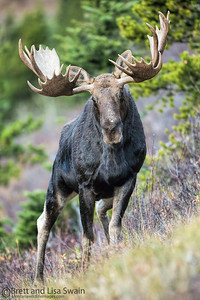 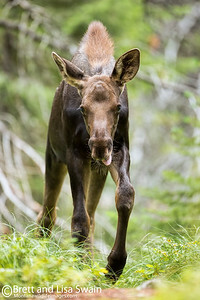 Moose are distinguished by the palmate antlers of the males; other members of the family have antlers with a dendritic ("twig-like") configuration. 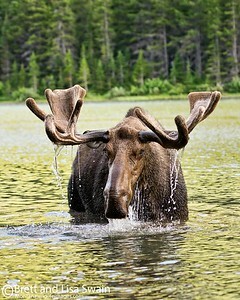 Moose typically inhabit boreal and mixed deciduous forests of the Northern Hemisphere in temperate to subarctic climates. 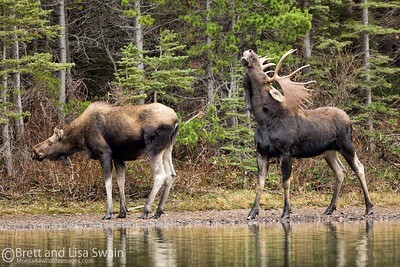 Moose used to have a much wider range but hunting and other human activities have greatly reduced it. 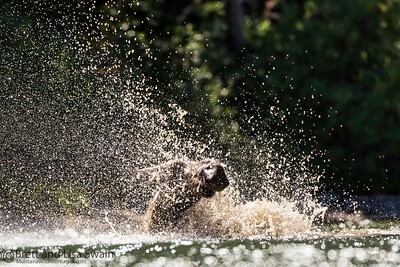 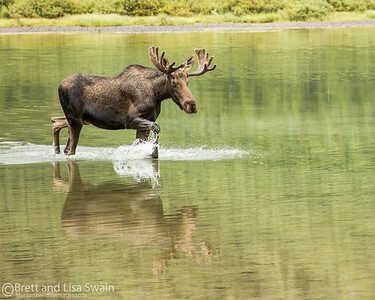 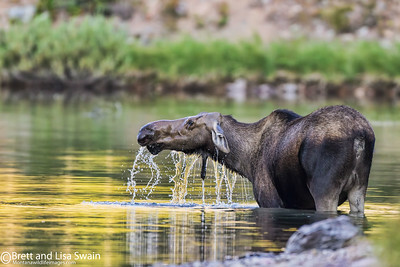 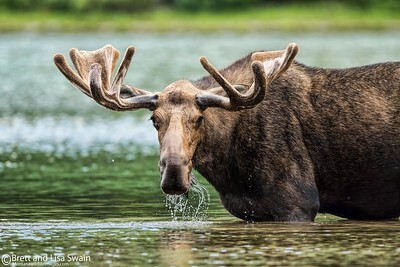 Moose have been reintroduced to some of their former habitats. 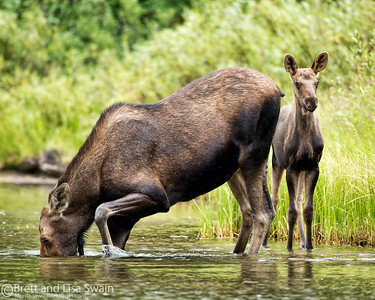 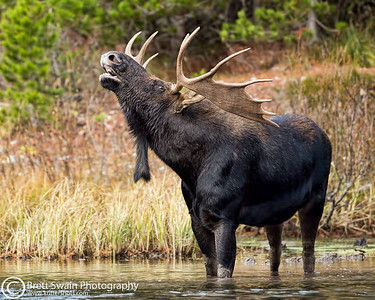 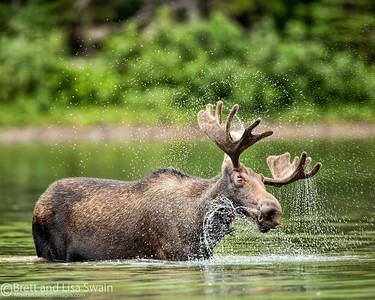 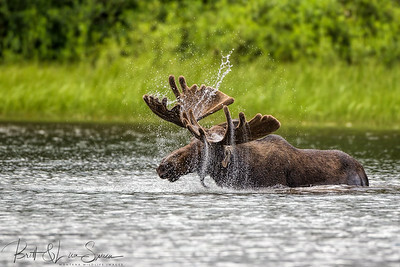 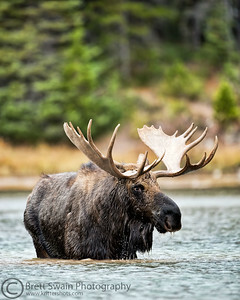 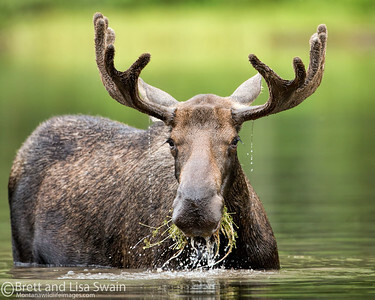 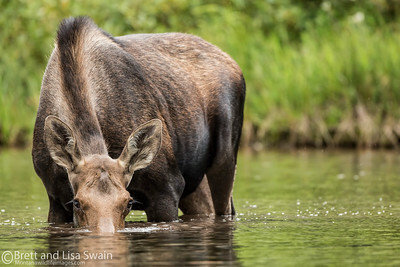 Currently, most moose are found in Canada, Alaska, Scandinavia, Latvia, Estonia, New England and Russia. 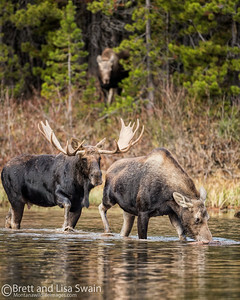 Their diet consists of both terrestrial and aquatic vegetation. 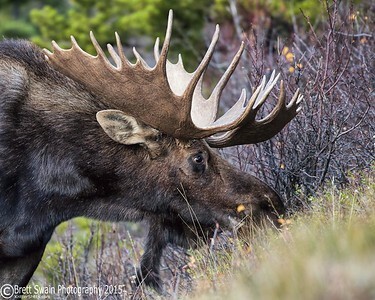 The most common moose predators are wolves, bears and humans. 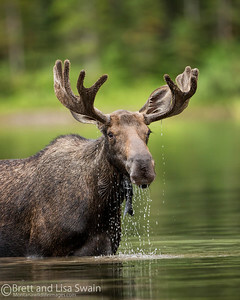 Unlike most other deer species, moose are solitary animals and do not form herds. 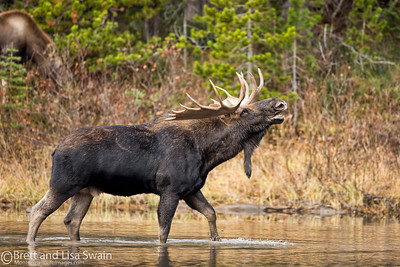 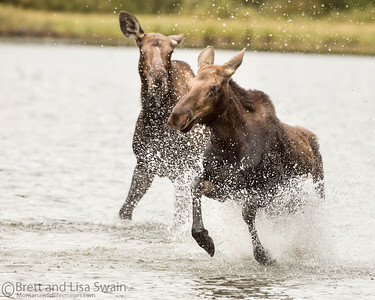 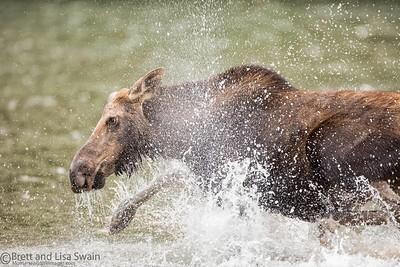 Although generally slow-moving and sedentary, moose can become aggressive and move quickly if angered or startled. 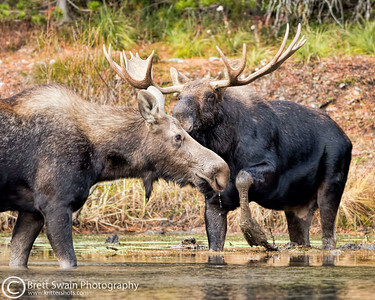 Their mating season in the autumn can lead to spectacular fights between males competing for a female.